ROMAN EMPIRE. 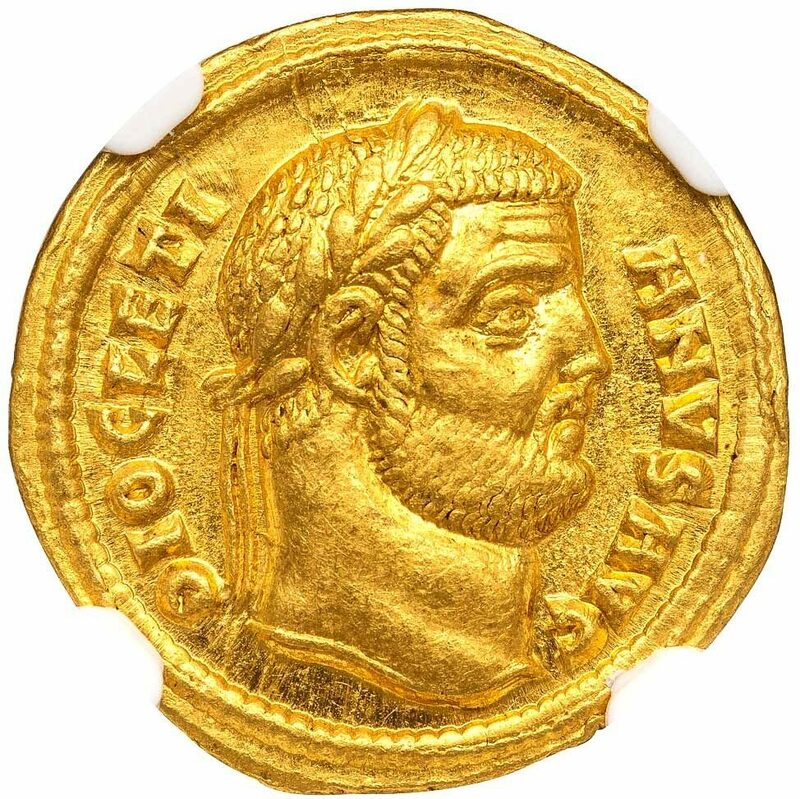 DIOCLETIAN, AD 284-305. 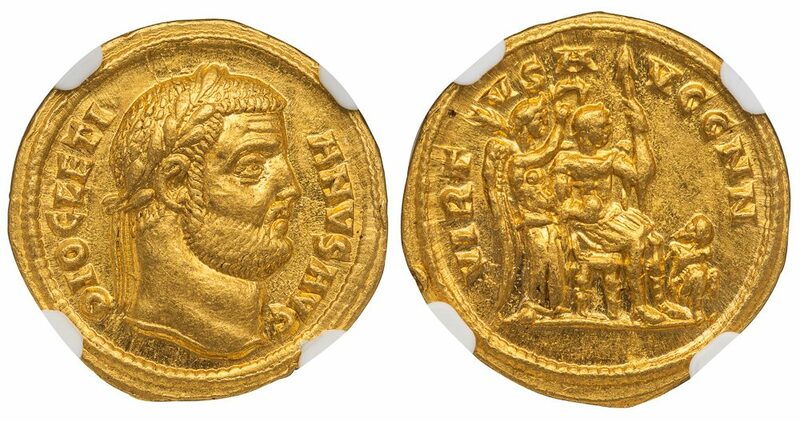 Gold Aureus, 5.39 g., 18 mm., minted at Cyzicus, ca. AD 294. Obv. 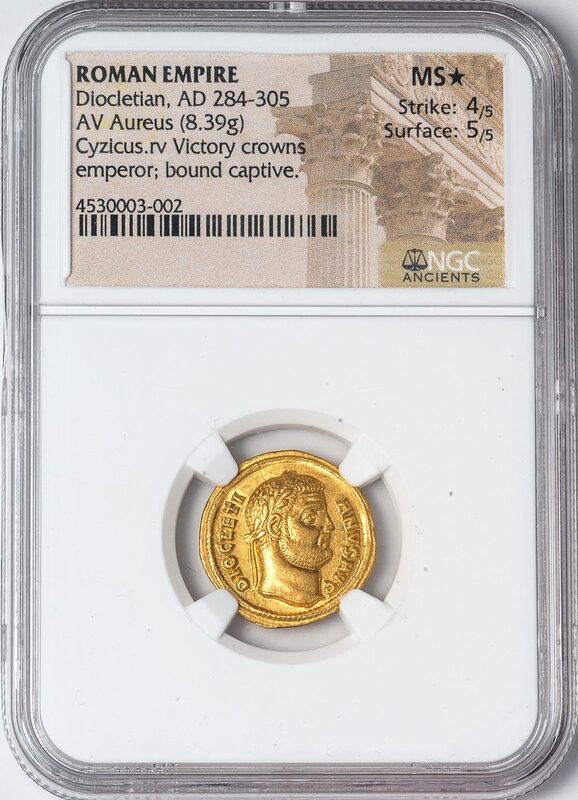 DIOCLETIANVS AVG, laureate head right. Rev. 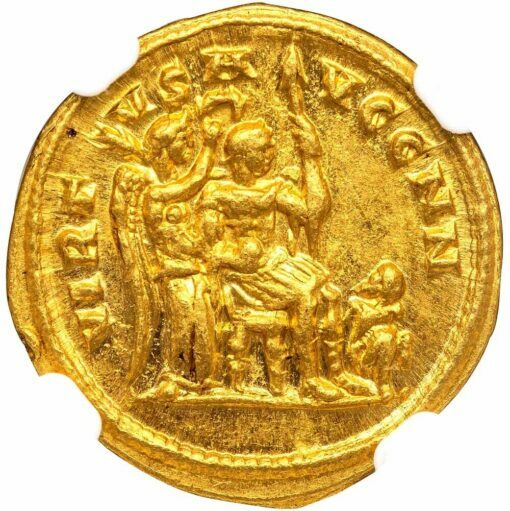 VIRTVS AVGG NN, Diocletian, dressed in military cuirass, seated right, holding spear, with Victoria behind crowning him; a diminutive barbarian crouches in front lookin up at the emperor. 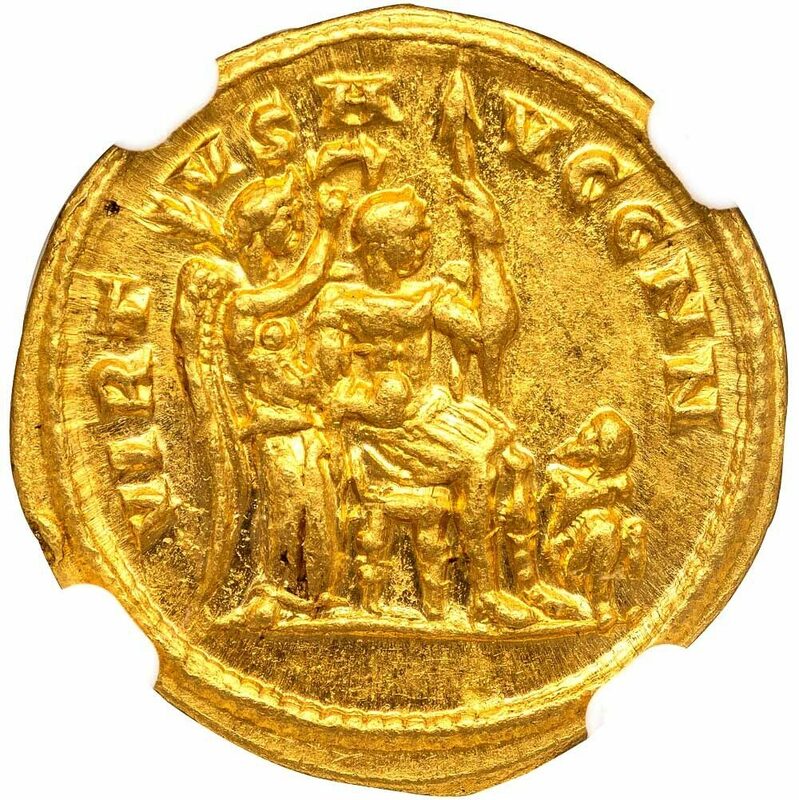 RIC VI 2; Depeyrot 15/3; Calicó 4580; Biaggi 1761 var. (arrangement of rev. legend). MINT STATE STAR, Strike 4/5, Surface 5/5, an exceptionally lustrous specimen of a very rare variety with a very attractive and intricate reverse type.